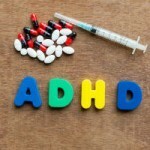 Did you catch my entry about 6 toxic causes of Attention Deficit Hyperactivity Disorder (ADHD)? In it, I mentioned that I’d look at the other side of the argument. 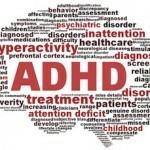 Is this a true neurological disorder that needs life-long medical treatment, or is the ADHD diagnosis simply an overgeneralization of a underlying condition? 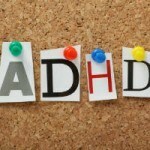 So, let’s get down to what those folks believe: does ADHD actually exist? With a 53 percent increase in ADHD cases over the last 10 years, many think that there’s an extreme overdiagnosis out there — that many primary care physicians tend to diagnose without looking at other factors. The CDC notes that poverty is actually the biggest factor in an ADHD diagnosis. These children are often victim to environmental factors, but, rather than getting the help they need to cope with these, are just given a diagnosis and a pill. So now we have an explanation for at least some of the influx. What else? According to Angela Hanscom, a pediatric occupational therapist, some of the diagnoses could have something to do with the amount of time our children have to sit still. 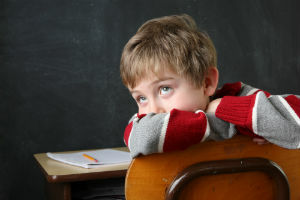 Take the case of a 6-year-old boy who was labeled as having ADHD simply because he couldn’t sit still for the entire day. Does anyone else see the lack of logic in this situation? I’m sure a lot of children (and some adults) have trouble keeping their seat for eight hours straight. Going along with this idea is the theory that pharmaceutical companies are blowing the ADHD problem way out of proportion. Why? Money, of course. The sales of stimulants were up to $9 billion in 2012; that’s up from $1.7 billion a decade ago. And marketing for these drugs is usually fairly extreme, with one ad even citing a stimulant as “safer than aspirin.” The FDA even had to get in on policing this issue, citing every major drug for ADHD as misleading consumers with false advertising multiple times since 2000. Nutritional factors for ADHD are very real, and you can’t expect one to be focused during the day on a junk-food diet. Lack of exercise and sunlight are also important factors, as physical exercise – particularly outside – can support mood and release excess energy. Certainly, these are things to think about, but then again, if you or your child have ADHD, you might have a decidedly different opinion. So what do you think? Is ADHD a real condition, or is it something entirely different? Tell us your thoughts in the comments. Centers for Disease Control and Prevention. Key Findings: Trends in the Parent-Report of Health Care Provider-Diagnosis and Medication Treatment for ADHD: United States, 2003—2011. Centers for Disease Control and Prevention. Strauss, V. Why so many kids can’t sit still in school today. The Washington Post. 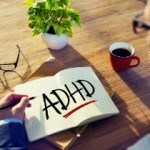 Healy, M. The ADHD explosion: A new book explores factors that have fueled it. The LA Times. Schwarz, A. The Selling of Attention Deficit Disorder. The New York Times.